Discussion in 'Rules & Information' started by IzaFour, Dec 27, 2017. 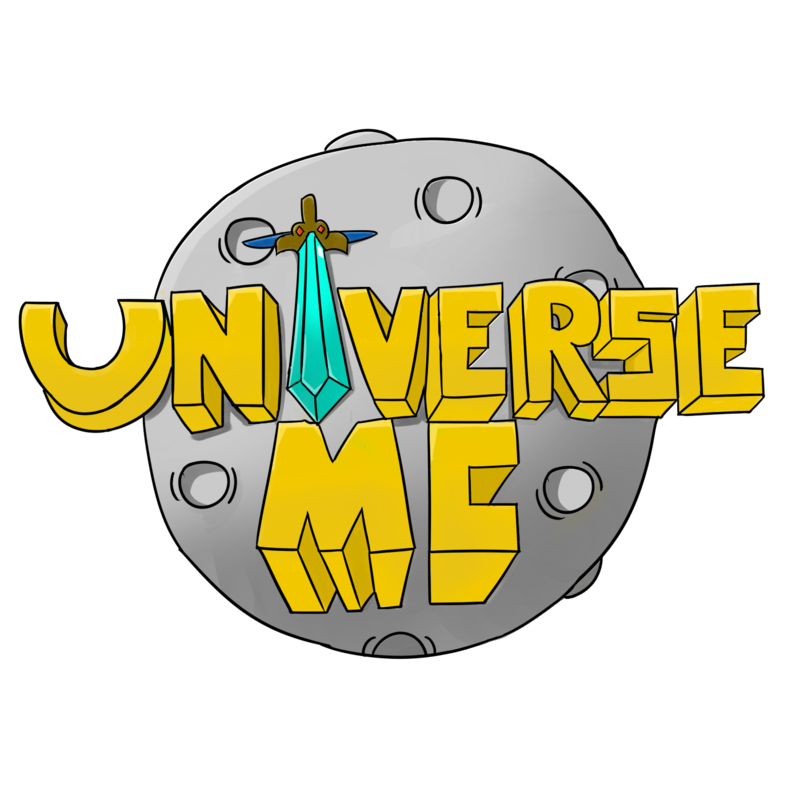 Please read these Terms of Service ("Terms", "Terms of Service", "TOS") carefully before using the Play.UniverseMC.Us server (the "Service") operated by UniverseMC ("us", "we", or "our"). By accessing or using the Service you agree to be bound by these Terms. If you disagree with any part of the terms then you may not access the Service. Terms of Service for UniverseMC. Any violation of these terms may or may not result in a suspension of your service with us. It is your responsibility to read, understand, and accept this agreement in connection with your use of the Services. You acknowledge that UniverseMC may make changes to these Terms of Service at any time and that Section headings in this agreement are for purposes of convenience only. Unless UniverseMC states otherwise, any changes to these Terms are effective when posted. If you continue to use the Services after any changes are posted then you agree that those changes will apply to your continued use of the Services. You should check this page regularly to stay informed about any changes. Any use of the Services in violation of the law, these Terms of Service, or these License Limitations is strictly prohibited, and may result in the immediate revocation of your limited license at UniverseMC's sole judgment, or may subject you to liability for violations of law. VI. Use of access services to obtain, generate or infer any business information about UniverseMC or anyone using our service, including without limitation information about sales or revenue, staff, technical stack, or statistics about users. IX. Use the Services where it is prohibited by law. - You are responsible for safeguarding the password that you use to access the Service and for any activities or actions under your password, whether your password is with our Service or a third-party service. - You must take all necessary steps to protect the secrecy of your login information. Your Account may be terminated if someone else uses it. You must immediately notify UniverseMC of any unauthorized use of your Account or any other such breach of security. UniverseMC shall not be responsible to you for any loss or harm that results from an unauthorized person accessing your Account. - No matter what else is said in these Terms or anywhere else within the Services, you expressly acknowledge that you have no right, title, or interest to or in any In-Game faction or account you create through our Services, and your Faction is not your property. Your faction is owned by UniverseMC and is licensed to you on a limited basis under the same rules as listed above. Once you join our server, you agree to follow all rules, no matter how you feel about them. Your faction may be disbanded for violating our Terms of Service, no matter the value of it. II. Attempts to circumvent our refund policy via filing unauthorized charges with your credit card company will result in a lawsuit, a permanent ban, and could also cause a police investigation. Being blown up by a mob, (for servers that offer this) thereby losing any purchased items. Being banned, A server reset, including a lost rank, or lost items such as vote keys, blocks, or other purchased goods. Items may be refunded at the discretion of the UniverseMC Administrative Team at any time. IV. The server can affect your rank/purchase in any way (Perk removal to all ranks or even termination of someone's rank) without refund. By buying anything here, you agree that we have full control over your rank. These events will rarely happen where a purchase item or rank will be terminated or confiscated but is within the realm of possibility if deemed necessary by a server staff. V. If the server is ever to shut down, all purchased items will be voided. VI. Because these purchases are "donations" we reserve the right to refuse to give you your item/service. VII. If you are under 18, please have your parents permission to purchase any items from our store. VIII. Before purchasing these goods, you must enter information about yourself(Address, Name, Email, etc.) You agree that this information is accurate and up to date. IX. We do not assume any liability for our goods being sold by third-party users. X. No information obtained by you from our store or through any third party shall create any warranty, guarantee, or conditions of any kind, except for those expressly outlined in these terms. XI. Purchasing a rank for someone is not allowed unless they give you written permission. XII. If you entered the wrong username, you would not get a refund or the items/services you purchased. You need to double-check all information before submitting your purchase. XIII. UniverseMC has the right to change the terms with or without notice, this effects but not limited to; changing what your account can do, how your account acts, and what control you have over the account. Our Service may contain links to third-party websites or services that are not owned or controlled by UniverseMC. All links need to be sent to a staff member for review. UniverseMC has no control over and assumes no responsibility for, the content, privacy policies, or practices of any third party websites or services. You further acknowledge and agree that UniverseMC shall not be responsible or liable, directly or indirectly, for any damage or loss caused or alleged to be caused by or in connection with the use of or reliance on any such content, goods or services available on or through any such websites or services. We may terminate or suspend your account immediately, without prior notice or liability, for any reason whatsoever, including without limitation if you breach the Terms of Service. Our failure to enforce any right or provision of these Terms will not be considered a waiver of those rights. If any provision of these Terms of Service is held to be invalid or unenforceable by a court, the remaining provisions of these Terms of Service will remain in effect. These Terms constitute the entire agreement between us regarding our Service, and supersede and replace any prior agreements we might have with us regarding the Service. VI. You may be recorded in game, on discord, or on teamspeak at any time without notice. This means your voice or your character, not your in real life person. By accessing the website at http://universemc.us, you are agreeing to be bound by these terms of service, all applicable laws, and regulations, and agree that you are responsible for compliance with any applicable local laws. If you do not agree with any of these terms, you are prohibited from using or accessing this site. The materials contained in this website are protected by applicable copyright and trademark law. perform, or speak about malicious actions. Initiate, assist, or become involved in any form of attack or disruption to the Services, including without limitation distribution of a virus, worm, spyware, time bombs, corrupted data, denial of service attacks upon the Services, or other attempts to disrupt the Services or other person's use or enjoyment of the Services. This license shall automatically terminate if you violate any of these restrictions and may be terminated by UniverseMC at any time. Upon terminating your viewing of these materials or upon the termination of this license, you must destroy any downloaded materials in your possession whether in electronic or printed format. The materials on UniverseMC's website are provided on an 'as is' basis. UniverseMC makes no warranties, expressed or implied, and hereby disclaims and negates all other warranties including, without limitation, implied warranties or conditions of merchantability, fitness for a particular purpose, or non-infringement of intellectual property or other violation of rights. Further, UniverseMC does not warrant or make any representations concerning the accuracy, likely results, or reliability of the use of the materials on its website or otherwise relating to such materials or on any sites linked to this site. All Terms of Service for both In-game and on forums are always accessible to all guests, registered or not. In no event shall UniverseMC or its suppliers be liable for any damages (including, without limitation, damages for loss of data or profit, or due to business interruption) arising out of the use or inability to use the materials on UniverseMC's website, even if UniverseMC or a UniverseMC authorized representative has been notified orally or in writing of the possibility of such damage. Because some jurisdictions do not allow limitations on implied warranties, or limitations of liability for consequential or incidental damages, these limitations may not apply to you. The materials appearing on UniverseMC website could include technical, typographical, or photographic errors. UniverseMC does not warrant that any of the materials on its website are accurate, complete or current. UniverseMC may make changes to the materials contained on its website at any time without notice. However, UniverseMC does not make any commitment to update the materials. You are responsible to regularly look at our Terms of Service, and rules. UniverseMC has not reviewed all of the sites linked to its website and is not responsible for the contents of any such linked site. The inclusion of any link does not imply endorsement by UniverseMC of the site. Use of any such linked website is at the user's own risk. Any links that violate our rules need to be reported to a staff member as soon as possible. UniverseMC may revise these terms of service for its website at any time without notice. By using this website you are agreeing to be bound by the then current version of these terms of service.